A sister brand of NordicTrack thanks to their parent company of ICON, ProForm carries a great name among fitness aficionados. Many have dual fans which are positioned to blow air not only on the user’s face but also their core. This can more effectively cool the user than other fans which are only pointed at the user’s upper body. 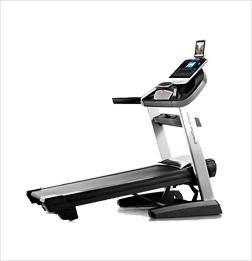 ProForm produces a wide range of workout equipment like rowers, HIIT trainers, and of course, treadmills. 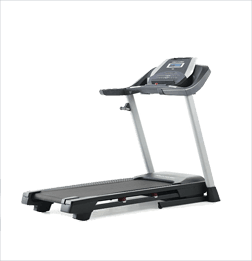 While not as well-known as NordicTrack treadmills, the ProForm treadmills still have a strong niche following among serious runners. 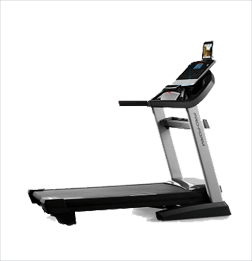 ProForm offers many affordably priced treadmills. 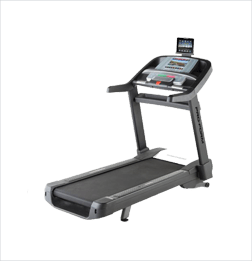 While they used to offer some more expensive treadmills like their Boston Marathon series, ProForm has concentrated more on creating affordable quality treadmills over the years. 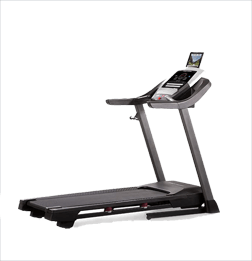 The SMART Performance series treadmills are ProForm’s budget line of treadmills, starting at $699. While they do not lack in durability and quality construction, they have smaller motors under 3.0 CHP. They all come with a year of free membership to iFit Coach, so you can utilize the thousands of programs available through iFit Coach. There are also mounted tablet holders to stabilize your tablet if you would like to use one. 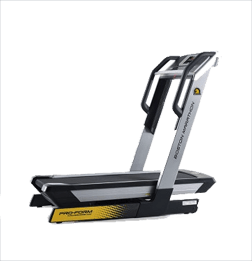 ProForm SMART Power series treadmills are their mid-range treadmill offerings, with a starting price of $1,099. They are not quite up to serious runners’ usage, but they are good for walkers and joggers. The Power series is steady while still being lightweight. They also all have a hydraulic system to help raise and lower the deck more easily. 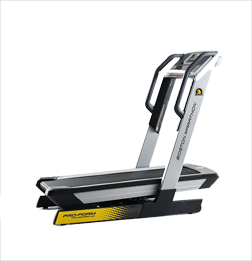 The SMART Pro series treadmills are the top of the ProForm treadmill line, and the prices start at $1,399. They all come with touchscreens, and all have sleek consoles with an easy to navigate layout. They have powerful motors and an incline range of around -3% to 15%. 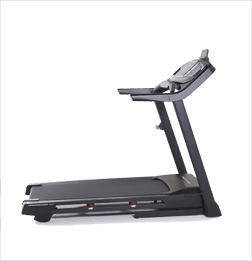 These treadmills come with a wider base to create greater stability for its users. 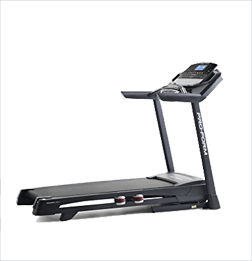 While ProForm no longer carries these treadmills on their website, they still can be found in various places online such as eBay, Amazon, and other third-party dealers. If you find one of them and want to know if it’s worth buying, be sure to check out our reviews. ProForm treadmills have been a great source of innovation. So it can be difficult to attribute a common set of features to their treadmills. 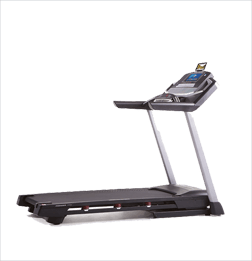 However, each of their in-stock treadmill series has certain commonalities. 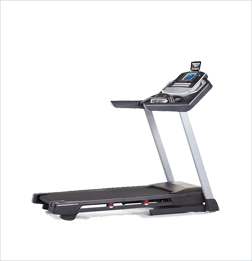 As ProForm’s parent company is ICON, its treadmills have quite a few of the high-tech features that NordicTrack treadmills tend to sport. Motor power – All ProForm treadmills have high-powered motors that are designed to give you a consistent workout every time. The patented technology and included rollers reduces the friction between the belt and deck, so even with the higher powered motors on some models (4.0+), it is quieter than most brands on the market. So even though you are receiving more punch on your treadmill, you are able to hear through either speakers or headphones without having to blast the volume. 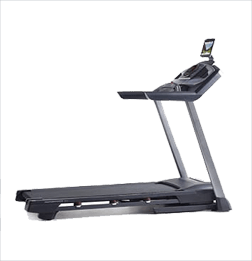 Technology – The tech features are undeniably impressive with ProForm treadmills. We found in this review that the touchscreen displays are more intuitive than most. The commands activate quickly, allowing you to bring up apps, start or stop media, or make adjustments to your screen quickly, without having to slow down. The heart rate monitors are accurate, both when using handlebar sensors and chest straps. Also, the free iFit Coach year membership is a great addition that gives you more control over your workouts. Price range – You can always purchase a ProForm directly from the manufacturer, which is typically what we recommend you do. This tends to give you better access to customer service and warranty options. They also offer financing options. 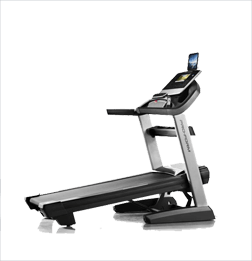 But before purchasing, knock off a percentage of the sale price using one of our Treadmill Reviews Coupons. Or locate other third-party coupon options via reliable sites like ProFormCoupon.com. ProForm treadmills are a reliable brand that you know you can count on. They build sturdy machines with good weight capacities and come at an affordable price point. Providing warranties on frames, decks, motors, parts, and labor means you know you will never become stuck with a model that doesn’t work. 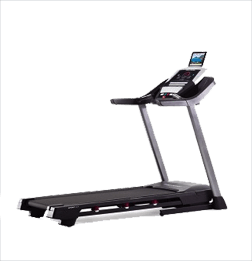 While they lack some of the extras like higher incline ranges, some of the larger touchscreens and more, that puts NordicTrack ahead of ProForm, these treadmills are still a worthwhile option if you are looking for a new treadmill.